Social & digital engagement that exceeds expectations. Morehouse College, a small school, wanted to focus their efforts on cost-effective marketing strategies to increase alumni giving. 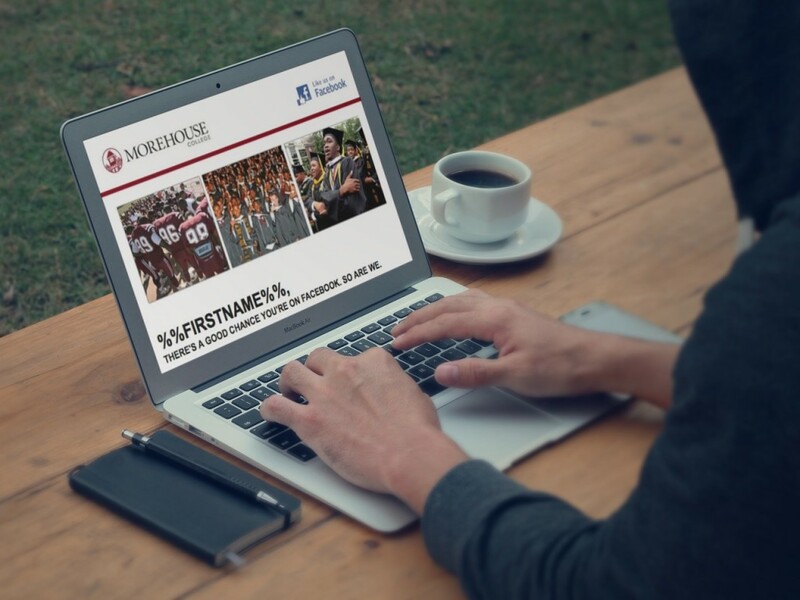 With just 10,000 living alumni, Morehouse also wanted to more efficiently engage its small audience using social and digital marketing strategies. During a 60-day alumni engagement campaign, MSM was able to increase social engagement exponentially. Data collected via a Alumni Reconnect Facebook app was used to design targeted emails that pushed alumni giving to unprecedented levels. The single campaign resulted in $19,881 being donated in just four days. While it’s possible your grads may gloss over your updates on your website or Facebook, it’s very likely that they’ll notice you in their email inbox — especially when your messages are optimally timed and perfectly targeted. An effective alumni email marketing strategy is a crucial component to keeping your constituents and graduates engaged.